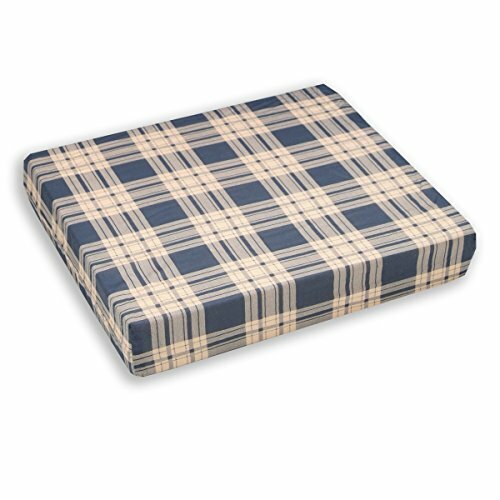 Make any seat comfortable with this four inch-thick seat cushion made from egg crate convoluted foam. Helps distribute weight and prevent pressure ulcers. Foam cushion contains no flame-retardant chemicals. Cover zips off for easy cleaning. A BRAND YOU CAN COUNT ON - Hermell Products has been designing and manufacturing health and lifestyle products for nearly 50 years. Our Foam Wheelchair cushion pillow is assembled in the USA. Should you have any issues with your product, please contact us and we will do what we can to help!